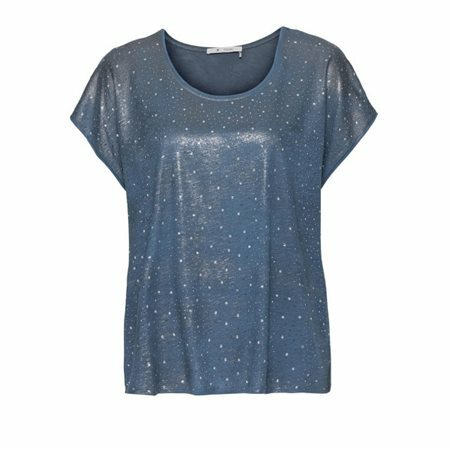 Show off your sparkle with this delicious little top by Monari! The cool blue coloured fabric feels soft and looks great with the sequins and gem stones that adorn the front of the top. It has capped sleeves and hangs loose, pair it with jeans and biker style boots for a trendy off-duty look.